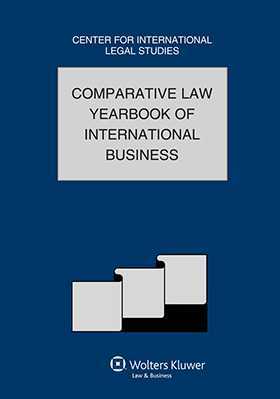 This edition of the Comparative Law Yearbook of International Business provides a general examination of issues vital to the world’s economic recovery. In the field of company law, practitioners examine changes in Russia’s corporate law and the new Ukrainian law governing joint-stock companies. In the area of competition law, lawyers review Serbia and Bulgaria’s new laws on the protection of competition and the private enforcement of Articles 101 and 102 in Europe’s national courts. Dispute resolution occupies two chapters, one dealing with best practices for drafting arbitration clauses and the other set aside, recognition, and enforcement of private commercial arbitration awards. A further two chapters treat employment and labor matters relating to distribution and commercial representation, indemnity upon termination, and processing personal data in the employment context of Hungary. In the area of financial services, practitioners from five jurisdictions deal with fiduciary duty, the European Commission’s proposed Directive on Alternative Investment Fund Managers, Swiss disclosure rules on significant shareholdings, restructuring and refinancing routes for mortgage-secured debt in Spain, and insurance laws and regulations in Nigeria. Foreign investment is examined by two authors, reporting on 2008 and 2009 developments in investment treaty disputes and foreign investment in Indonesia. Intellectual property issues are reviewed in chapters relating to the use of intellectual property as collateral in secured financing and intellectual property licensing in Canada. Finally, lawyers treaty a variety of other issues, including the tax law of Liechtenstein, European Union-Israel trade in the automobile sector, insolvency risk and creditors’ rights in Peru, the modernizing of trust law in Hong Kong and bridging cultural differences in international Transactions.